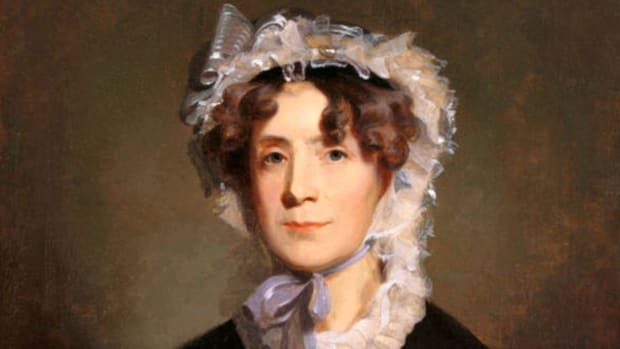 Fluent in French and favored by the grandest courts in Europe, the London-born Louisa Catherine Adams played a key role in the election of her husband, John Quincy Adams, in 1824. Louisa Catherine Johnson was born in London, England, in 1775, to an English mother and a father born in England’s American colonies. The family relocated to France after the Revolutionary War broke out, but returned to London in 1781. Louisa and her sisters were brought up like wealthy, proper English girls, but constantly reminded that they were also Americans. Louisa met John Quincy Adams, son of the future U.S. president, in late 1795, when he came to dinner at the Johnsons’ home in London. 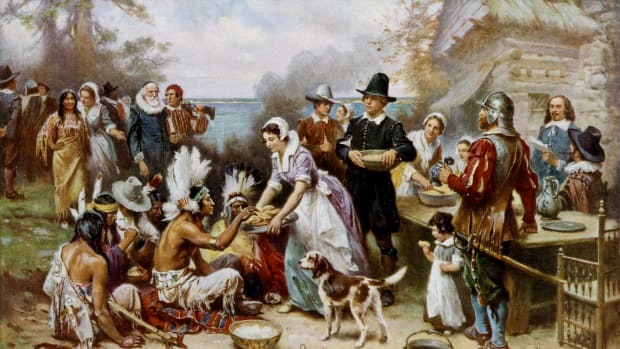 Louisa’s foreign birth and upbringing would not endear her to her future husband’s family, famously descended from the first settlers of Massachusetts Bay Colony. But her background and experiences served Louisa well during her husband’s diplomatic career, as she triumphed in foreign courts from Berlin to St. Petersburg. John Quincy and Louisa declined to do so, and the decision would come back to haunt them. 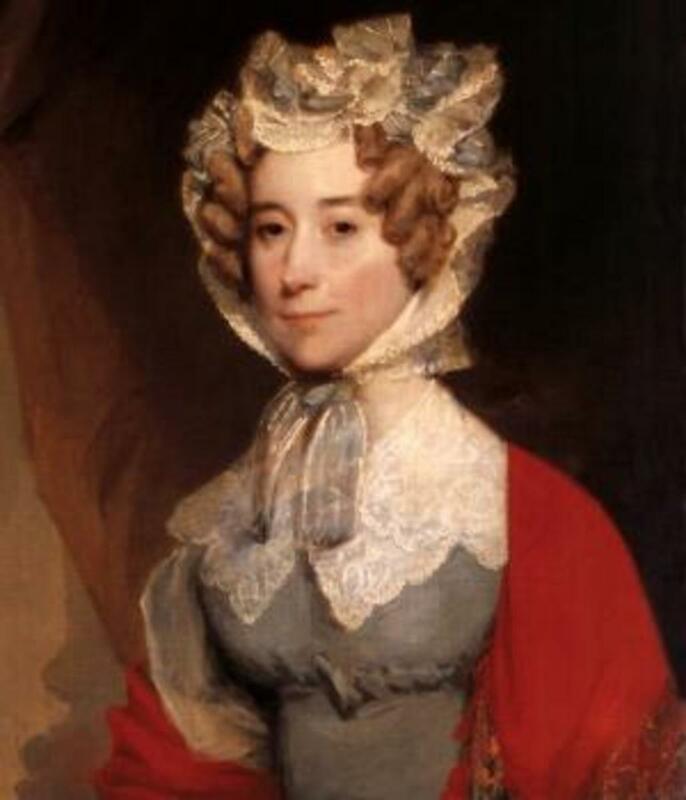 The first lady, Elizabeth Monroe, even called Louisa to the White House to inform her why all the women in Washington were boycotting her parties. The incident surely impressed upon Louisa how important her social efforts could be to her husband’s career. 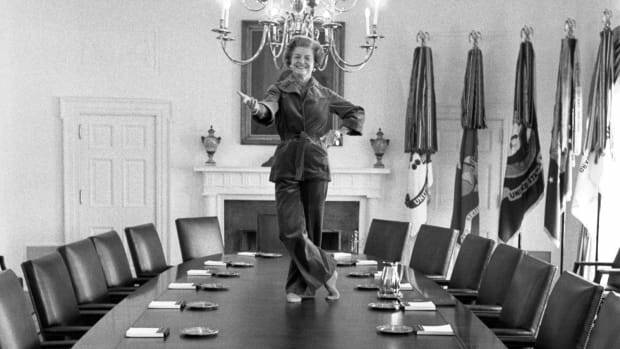 She soon made up for lost time, returning every social visit she received and throwing the parties and “teas” that would soon make her the most celebrated hostess in Washington. In the 1820s, the business of politics looked quite different from how it looks today, and campaigning for oneself openly was taboo. “It was referred to as electioneering, and considered very bad,” Thomas tells HISTORY. “Everyone was accusing everyone else of electioneering–but of course everyone was frantically electioneering!” Known for being aloof and even cold, John Quincy Adams refused to promote himself, and was ill-equipped to do so. Instead, he left the electioneering to his wife. In the controversial presidential election of 1824, war hero Andrew Jackson won the popular vote and 99 electoral votes, but failed to win a majority of the electoral votes. Under the 12th Amendment of the Constitution, the House of Representatives would decide between the top three finishers: Jackson, John Quincy and William Crawford. Speaker of the House Henry Clay, who came in fourth in the race, would now play an outsized role in its conclusion. Clay may have been an old rival of John Quincy’s, but he loathed Jackson. In January 1825, Clay met with John Quincy at the Adamses’ Washington home, a meeting Jackson’s supporters would later condemn as evidence of a “corrupt bargain” that handed the presidency to Adams. It’s unclear whether Louisa was at the house that night or knew what went on, but in any case she certainly made efforts to sway the election towards her husband. 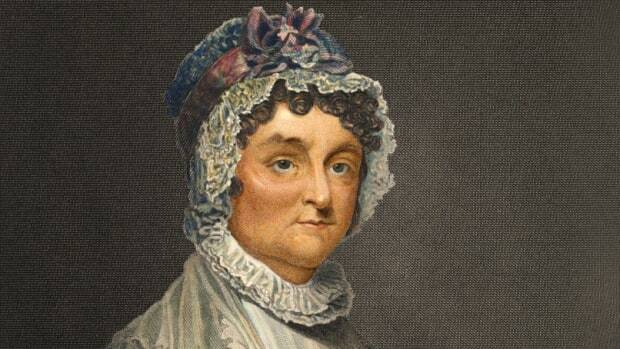 She even held a tea on Tuesday, February 8, 1825, the night before the House of Representatives voted. As Thomas writes in her book, John Quincy recorded in his diary that 67 members of the House attended the party, along with some 400 other people. 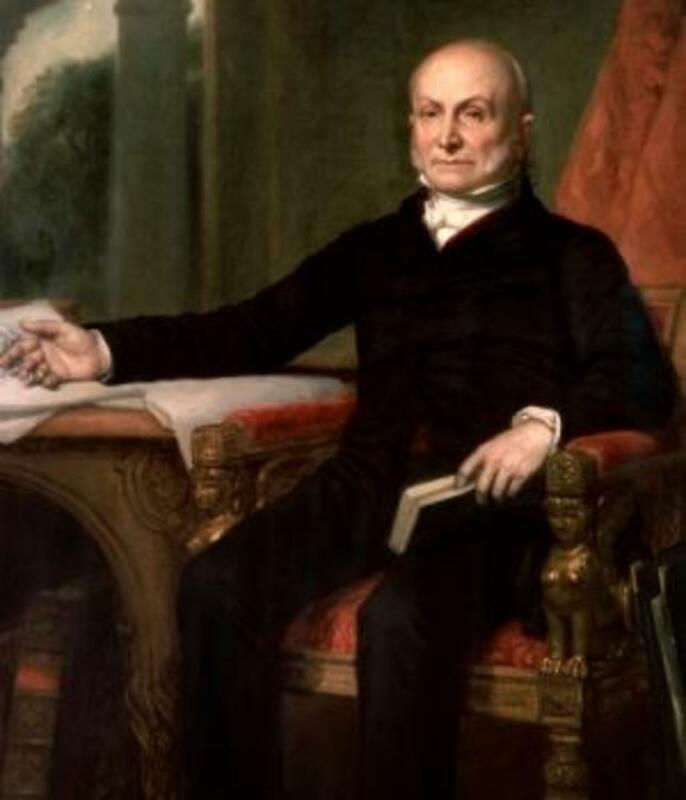 The claims that John Quincy conspired with Clay, whom he named secretary of state, seriously hampered the Adams presidency from the beginning. It was an unhappy time for Louisa as well; she felt neglected and abandoned by her husband, and attacked from all sides. “It was a pretty bruising campaign, and she was exhausted afterwards,” Thomas says. “People were pretty nasty towards her. 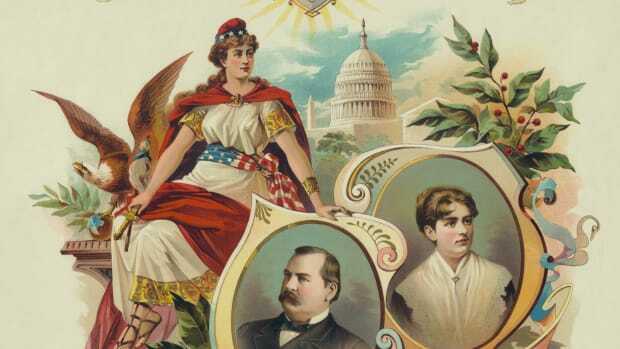 They accused her of ‘playing the politician,’ and of being power-hungry.” Instead of her lively parties, Louisa followed the example of her reserved predecessor, Elizabeth Monroe, and held formal Drawing Rooms every two weeks while Congress was in session. 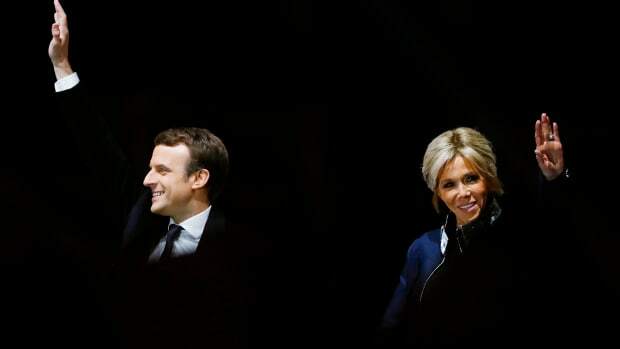 She suffered through these uninspired gatherings, having gone from instrumental in her husband’s campaign to purely passive in his administration. To prove just how American she was, Louisa appears to have taken an extraordinary step. In February 1827, the Philadelphia Evening Post published a campaign “biography” of Mrs. Adams that would be widely reprinted. 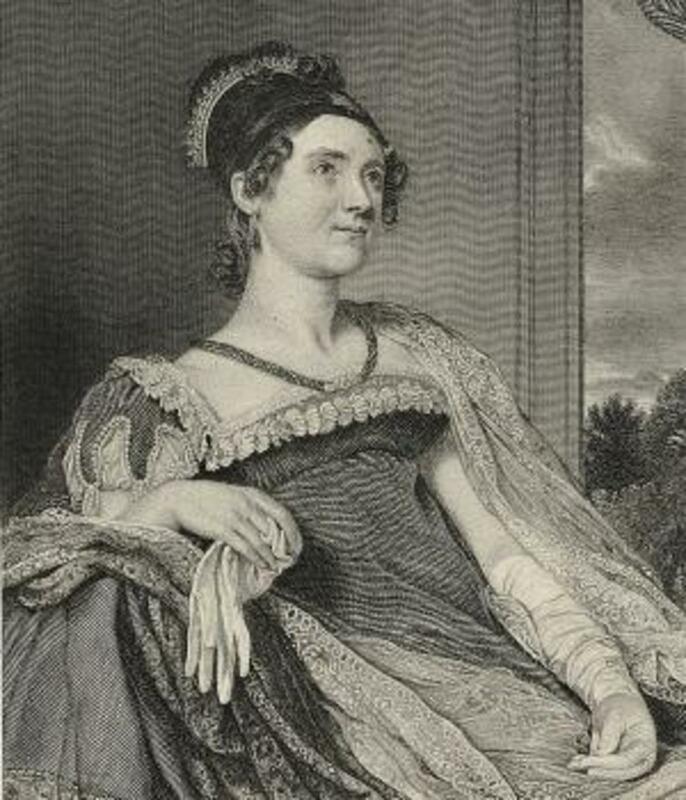 The essay stressed that Louisa’s father had risked his life to help his American countrymen during the Revolutionary War, and went on to write positively of her service as a diplomat’s wife, including the risky 2,000-mile journey she made from St. Petersburg to Paris in early 1815, crossing a war-torn Europe with only a few servants and her seven-year-old son, Charles. Gilbert Stuart portrait of Louisa Adams. The essay was published anonymously, but few questioned the identity of the essay’s author: Mrs. Adams herself. The unprecedented, strange document didn’t help the Adamses’ cause–quite the opposite, in fact. Andrew Jackson’s supporters used it, along with another pro-Adams paper’s accusation of bigamy against Rachel Jackson, to make a case that the Adams camp was maliciously attacking Jackson’s wife. They struck back by airing claims (which were in fact true) that Louisa’s parents had not been married before they had children. John Quincy’s loss in 1828 “seemed a foregone conclusion,” as Thomas writes in her book, and both Adamses mostly seemed to feel relieved that their time in the White House was over. Just as they were beginning to enjoy their freedom, however, came the tragic news that their son George had gone overboard on the steamboat from Providence to New York, in an apparent suicide. 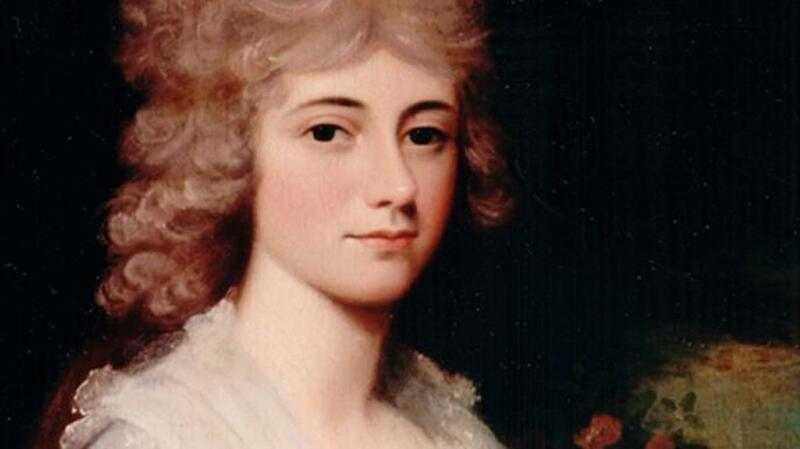 With these books, her letters and other writings, Louisa Catherine Adams left behind a record of an extraordinary life, unlike that of any other woman of her time. When she died in 1852, three years after her husband collapsed on the floor of the House, both houses of Congress adjourned on the day of her funeral. Louisa’s son Charles noted in his diary that it was “a thing unexampled in our history so far”–an unprecedented sign of respect for a woman who called herself a nobody.